Component Filter in Lightning Experience allows us to define when the lightning component should display/hide. This helps us to design dynamic lightning pages using App Builder. In API version 36.0 and earlier, when multiple PushTopic notifications are generated for the same record within about one millisecond and in the same transaction, only the last notification is sent. The other notifications are suppressed because notifications are tracked at the millisecond level. When multiple notifications happen within a transaction at the same time—less than one millisecond—only the last notification can be delivered. Updates performed by the Bulk API won’t generate notifications since such updates could flood a channel. Formula fields in WHERE clauses are not supported. Formula fields are supported in SELECT clauses though. In Process Builder time based actions are available when "only when a record is created" is selected. For "when a record is created or edited", if you select "Do you want to execute the actions only when specified changes are made to the record?" in the criteria then time based actions will appear. On the Schedule Report page, specify a running user who has access to the folder where the report is stored. The access level of the running user determines what other users, including portal users, see when they receive the scheduled report run results. 5. How to avoid locking contention in Salesforce? Always sort the file by the lookup / master-detail field that represents the parent record. For example, if loading Contacts, sort by AccountId field to minimize locking contention on the parent records. OWD or Sharing Rules or Role Hierarchy won't work since Transfer Record override it. User with "Transfer Record" permission allowed to transfer ALL records, as long as the user has Edit permission to the object. Read again here "edit on object" NOT "edit on record", this means, the user will be able to transfer record owner even user do not have Edit access to that record. The real purpose of comments is to explain “WHY” you did something, not “WHAT” thecode is doing. If you don’t explain this, other programmers may be confused and when they go to change your code they might remove important parts of it. Trigger runs in System mode. If triggers calls an apex class with sharing keyword, then record level access will be considered. Validation Rule runs in System mode. Auto Response Rule runs in System mode. Assignment Rule runs in System mode. Workflow Rule runs in System mode. Escalation Rule runs in System mode. Formula, Rollup Summary runs in System mode. Custom Button runs in System mode. Visual Workflow or flow runs in User mode. If flow is called from Process Builder, then runs in System mode. If flow is called from Workflow, then runs in System mode. If flow is called from Apex, then runs in (depends on with or without sharing of apex class). If flow is called from Custom Button, then runs in System mode. If flow is embed in Visualforce, then runs in VFP context. If flow is called from REST API, then runs in System mode. Approval Process runs in System mode. Publisher Action runs in System mode. If this is called from flow, then runs in User mode. If this is called from Process Builder (does it depends on with or without sharing is specified on that Class), then runs in System mode. if this is called from REST API, then runs in (depends on with or without sharing of the class). Test method with System.runAs() runs in User mode. Test method without System.runAs() runs in System mode. Visualforce Page (StandardController) runs in User mode. Visualforce Page (StandardController with extension) runs in System mode. Visualforce Page (Custom Controller) - Based on the sharing keyword usage in the apex class. Visualforce Component runs in depends on Visualforce page where it is used. Macros runs in System mode. Annonymous Apex runs in User mode. Chatter in Apex runs in User mode. Email Service runs in User mode. All types of Jobs runs in System mode. Apex Webservices (SOAP API and REST API) runs in System mode. Send Email actions are supported in Lightning Experience only. Canvas App Previewer is a development tool that lets you see what your canvas apps will look like before you publish them. apex:canvasApp is the tag to use in Visualforce page. 12. When Child Events get Created in Salesforce? While creating a new event/editing an existing event, we have the ability to invite people. So, for the invitees(users/contacts/leads), Salesforce internally creates separate events for each invitee with the flag isChild=TRUE. Flow in User Mode, PB in System Mode. Trigger the Flow from PB and it runs in System Mode. Mind. Blown. 15. What is the wire service? Lightning web components(lwc) use reactive wire service to read Salesforce data. It is Built on Lightning Data service. Reactive wire service supports reactive variables, which are prefixed with $. If a reactive variable changes, the wire service provisions(requests) new data. 16. How to Reset My Security Token when IP restriction is applied in the profile in Salesforce? 17. Will IsUnreadByOwner change fires trigger? The IsUnreadByOwner field changing doesn't fire an update trigger. When attempting log in you should limit the amount of requests to ensure proper processing. The limit is 3600 calls per user per hour. If this limit is exceed a “Login Rate Exceeded” error is generated in your application and Salesforce login history. This limit ensures that our platform runs safely and efficiently. Sender Policy Framework is a simple email-validation system designed to detect email spoofing by providing a process to verify which providers are permitted to send emails on your behalf. It also aims to reduce the number of spam and fraud by making it harder for anyone to hide their identity. If you’re sending an email from a Salesforce application and your domain is abc.com, you can create an SPF record that authorizes Salesforce.com mail servers as allowed mail servers for abc.com domain. When the recipient receives your email, it checks the SPF record of abc.com to determine if it’s a valid email. The message will have a high chance of delivery if it can be validated using SPF. The following components don’t support double-byte fonts when rendered as PDF. 21. What does <article> HTML Tag do? Users can read, edit, delete, transfer, and approve all records associated with this object, regardless of sharing settings. These settings apply only to Apex class methods. 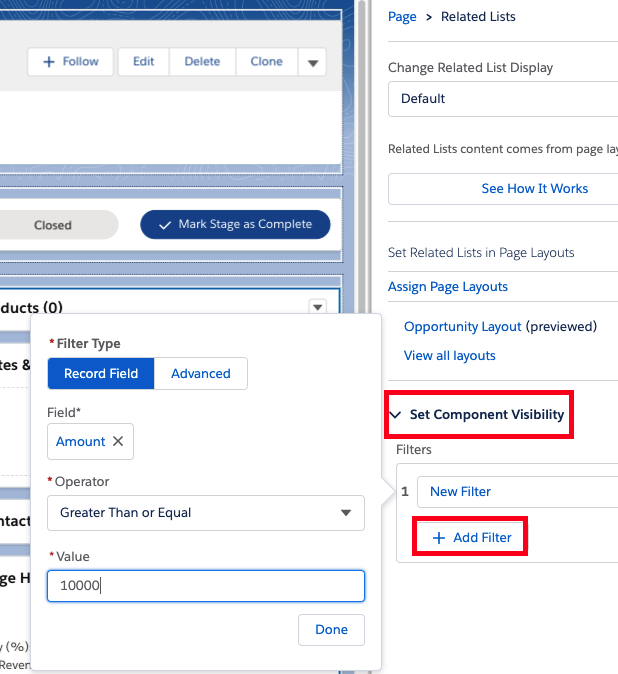 For example, apply the settings to Web service methods or any method used in a custom Visualforce controller or controller extension applied to a Visualforce page. Triggers always fire on trigger events (such as insert or update), regardless of profile settings. 25. What is meant by the Read / Unread status of leads? A user will have a list of unread leads that they own and can be viewed under the list view of My Unread Leads. When you transfer ownership of a lead, the lead will appear in the new owner's 'My Unread Leads' view, until they click on the lead. Note: For leads owned by a Queue, the status will remain 'Unread', even if a member of the Queue reviews it. 26. What is the difference between (profile) login hours and (company information) business hours? Does business hours different from login hours or do business hours override the login hours? Business hours don’t override profile hours. Login hours are for specifying when users can log in. Business hours are for specifying when the support team is available and to help manage other processes like escalations and milestones. 27. What information we get during PushTopic delete event? If the SOQL is SELECT Id, Name, Industry FROM Account, we will not get Name and Industry during delete event. Use Apex or SOAP to delete field history and field history archive data. To delete field history and audit trail data, the user permissions Delete From Field History and Delete From Field History Archive must be enabled through a permission set or a user profile. The org preferences to enable these permissions, Delete From Field History and Delete From Field History Archive, are located in Setup | User Interface. Delete field history data, such as AccountHistory, and field history archive data by passing in a list of ID values as strings using the Apex or SOAP delete() method. The Apex delete() method also works with a list of sObjects with the Id field populated. The sObject acts like a template. All rows that match the sObject’s fields and values are deleted. You can only specify fields that are part of the big object’s index. You must specify all fields in the index. You can’t include a partially specified index or non-indexed field, and wildcards are not supported. A lightning-record-view-form component is a wrapper component that accepts a record ID and is used to display one or more fields and labels associated with that record using lightning-output-field. lightning-record-view-form requires a record ID to display the fields on the record. It doesn't require additional Apex controllers or Lightning Data Service to display record data. This component also takes care of field-level security and sharing for you, so users see only the data they have access to. This component doesn't support all Salesforce standard objects. For example, the Event and Task objects are not supported. Run Jest tests at the command line or (with some configuration) within your IDE. Jest tests don’t run in a browser or connect to an org, so they run fast. When run in “watch mode” they give you immediate feedback while you’re coding. Jest tests work only with Lightning web components, they don’t work with Aura components. 1. Download and install node.js and npm. 2. Open a Salesforce project in VS Code which has LWC component. 3. Go to Terminal tab. 4. Execute npm init command. 5. Execute npm install command. 6. Execute npm install @salesforce/lwc-jest --save-dev command. This will take sometime to complete. 7. Next, to identify your test script, add an entry in the scripts block of your project’s package.json file. The line must include a name and a command. You can choose the name. The command must be lwc-jest and can optionally include a supported flag like --watch or --debug. 8. Create __tests__ folder in the component folder. 9. To ensure that the __tests__ folder and its contents are never saved to Salesforce, add this glob pattern to the .forceignore file for each of your projects. 10. Create new js test file. 11. Use componentName.test.js naming convention. 12. Use npm run test:unit to run the test. First, the test imports the createElement method. This method is available only in tests. The code must also import the component to test, which in this case is c/hello. Use these imports later to create the component under test. A describe block defines a test suite. A test suite contains one or more tests that belong together from a functional point of view. We recommend having a top level describe block with a description matching the component name. Add more describe blocks that group functionality only if necessary. For hello.test.js, a single describe is sufficient. For more complex components, it may make sense to have several describe blocks that group things into categories like error scenarios, empty input, wired data, regular data, and so on. The Jest afterEach() method resets the DOM at the end of the test. Since a browser isn’t running when tests run, Jest uses jsdom to provide an environment that behaves much like a browser’s DOM or document. Jest has a dependency on jsdom, which is a Node.js project, so jsdom is downloaded during installation of the lwc-jest project the same way Jest itself is. Each test file shares a single instance of jsdom, and changes aren’t reset between tests inside the file. Therefore it’s a best practice to clean up between tests, so that a test’s output doesn’t affect any other test. Jest also has other methods that you can use to perform setup and cleanup tasks. See jestjs.io/docs/en/setup-teardown. NOTE it is an alias for test. Use whichever word allows you to describe the expected behavior accurately. An it block describes a single test. A test represents a single functional unit that you want to test. Write the it to describe the expected behavior of that function. For example, the hello component displays “Hello, World!”, so the it block tests that the hello component displays a greeting. The test uses the imported createElement method to create an instance of the component to test, in this case, c-hello. The test then calls appendChild to add the component to the test’s version of document. The document.body.appendChild() call attaches the Lightning web component to the DOM and renders it. Which also means that renderedCallback() lifecycle method gets called. The next step is to use a standard DOM query method to search the DOM for the element. Use element.shadowRoot as the parent for the query. It's a test-only API that lets you peak across the shadow boundary to inspect a component’s shadow tree. It’s the test equivalent of this.template. Jest supports lots of matchers like toBe and toMatchObject that make it easy to check that a value meets a condition. 0B6 is for CaseTeamMember object. Use the below SOQL to check. Make HTTP GET to https://yourdomain.my.salesforce.com/services/data/v44.0/limits or https://login.salesforce.com/services/data/v44.0/limits to check the Salesforce limits. 1. Get the access token. 2. Use the access token and hit the limits Endpoint URL.